Complex substances, difficult to characterize, potentially dangerous to human health, endocrine disruptors are of concern to consumers. Especially since they often feel that political and health authorities remain powerless to manage the risk they represent and do nothing to protect them. 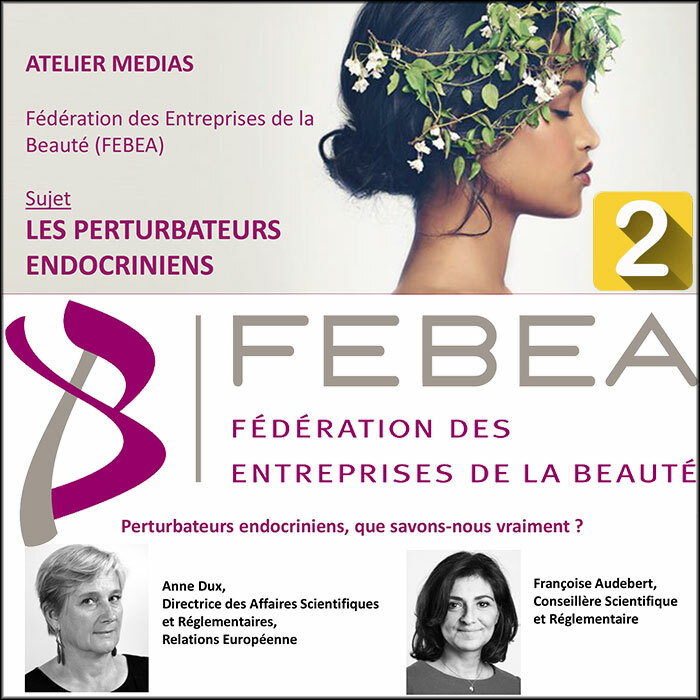 However, action plans have been initiated, both at European and national level, as shown by Anne Dux, Director of Scientific and Regulatory Affairs, and Françoise Audebert, Scientific and Regulatory Advisor, during the press workshop organised by the FEBEA on 14 February 2019. Second part of this report: How to address public health issues? “Endocrine disruption is a public health issue and must be addressed as such,” Anne Dux stressed. This requires, first of all, the availability of reliable epidemiological and scientific data, so that appropriate regulatory measures can be taken. France does not have a global pathology register, and has very few data on the health status of the population. “This is quite surprising in a country that has universal compulsory health insurance,” commented Anne Dux. However, we do know that reproductive tract diseases are increasing. Testicular cancer, a rare cancer in young men, has increased by an average of 2.5% per year since 1998. Early puberty is also increasing, with very different frequencies depending on the region. There are twice as many in Avignon and Toulouse as in the rest of France, suggesting that the problem of endocrine disruptors is probably linked to that of environmental pollution.